Memoirs from Astana: “The conference is over but the adventures are just beginning”. The conference in Astana is over but the adventures are just beginning. We departed Kazakhstan’s capital to take the overnight train to go to Semipalatinsk, or how the locals prefer to call it nowadays “Semei”. The adventures began way before the train departed. When we arrived at the train station we had about a minute to get to the train before it would leave. We didn’t just run altogether, but we needed to take an elevator to get to the third floor. We squeezed into it, held our breaths, around 15 of us inside of it and our luggage was on our feet, on our heads. But we would get even closer to each other so that all members of our group would fit in and we would take one elevator to make it on time. It was terrible inside of the elevator, but warm inside our hearts as we definitely felt this mutual care for each other. And then we ran to the train. Whoever’s arms were more or less free would grab the suitcases of other members and run altogether, as one team of champions in the fight for nuclear non-proliferation. As we got into the train we had to cross it all the way from car 7 to car 25. And it is not an easy task regarding the fact that you need to twist back and forth, you have people on your way, the bags are heavy and the corridors are narrow. But that we overcame and got into our car, took our seats and could finally breathe out. We had a fantastic conference full of discussions and participation. It went by so quick that it will be true to say that only a while after we say goodbye to each other and return to our homes we will understand what a blast we had here and what an enriching experience it was. I saw the people who have never been introduced to CTBTO before, but had such an amazing opportunity to discover it here in Astana, experience a life-changing journey. I saw them smiling as they greeted each other and shared their openness and friendliness, but I also saw them serious most of the times as a smile would not even be considered appropriate for the whole topic of the discussion. It is, every time I think of CTBT, the moment when I don’t think smile or laugh or cheer is suitable for we are in a disaster considering the lack of understanding we have for the importance of the world free of nuclear weapons. This is hopefully to change and such hopes are especially robust when you see all these people come together and discuss this. We did that well and now we are facing the greater and in many ways it is the greatest challenge which is to act. To prove it not only on words, but mainly on deeds. We must not lose the spirit we developed in Astana. We must keep it in our hearts all the time. And what’s more important than anything else, and upon which the destiny of the Treaty lays as well, we must deliver the spirit of Astana to our communities, to our leaders. We must, as one of the fellow CYG members pointed out today, “Take this out of the bookshelves” and go out there to advocate, to achieve the great goals that we have set for ourselves. 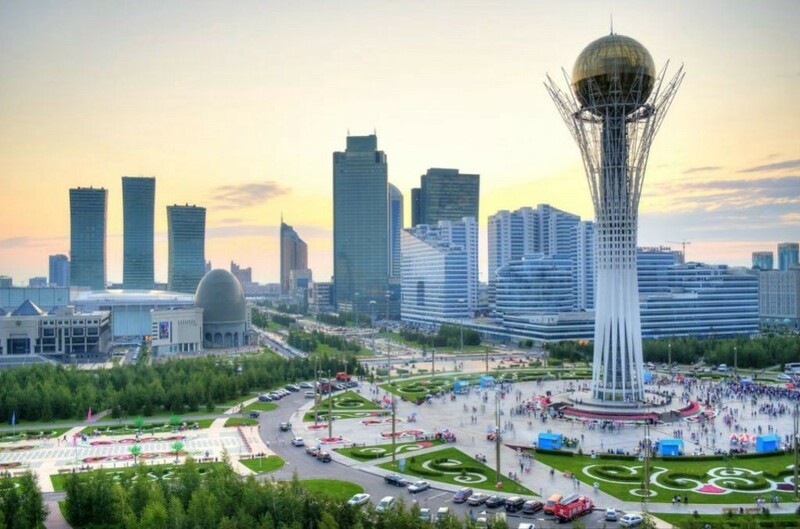 We will finish this week with the explorations of Semei and Kurchatov — the places that will tell us the story of “the national shame which is turned into the national part” as the President of Kazakhstan Mr. Nazarbayev calls it. We are more than excited for this trip and we understand that this will be a very unique experience. This will be the adventure into what many of us might have heard from our teachers and professors, read in the books and researches, but only this time will we be exposed to the emotional part of this and it is easily and clearly understood by people regardless of their background and whatever might differ them. This is the proof of the statement that CTBT is you and I — it is all of us.